Growing your own vegetables and fruits offers many benefits such as saving money and t knowing where my food comes from. There's nothing better than eating a tomato right off the vine. With my small space vegetable gardening plan, I’ve been able to provide fresh food for my family and friends. No matter where I go, I can always find a few good spots to grow food. If you live in an apartment, house or mobile home there are many available spaces for container gardens. I have friends who use their garage roof for a great growing space, so as long as it's safe the sky's the limit. Balconies, stairs, and fire escapes are great locations for growing - just make sure that you have a safe path in case of emergencies. I’ve attached window boxes and plant holders to the sides of my building for vertical planting. Many apartments have unused spaces in a courtyard or at the side of the building. The landlord might be willing to create a community garden for the complex, especially if it adds value and beauty to the property. Many homes have a small front or backyard space that can be used for small space vegetable gardening. I build raised garden beds in small yard spaces because they are easy to maintain. Vertical gardening can be done along the side of the house and fence. Hang strawberry plants from fence posts or plant along the parking strip. After I map out my small garden area, I check to see how many hours of direct sun the areas get per day. Tomatoes and peppers love direct sun, while peas and lettuce like the shade. This is important to consider when you’re planning what to grow. Don’t forget about sunny window sills too! You can create a great indoor herb garden in almost any bright window space. My first rule is that I don’t plant anything that I don’t like to eat. 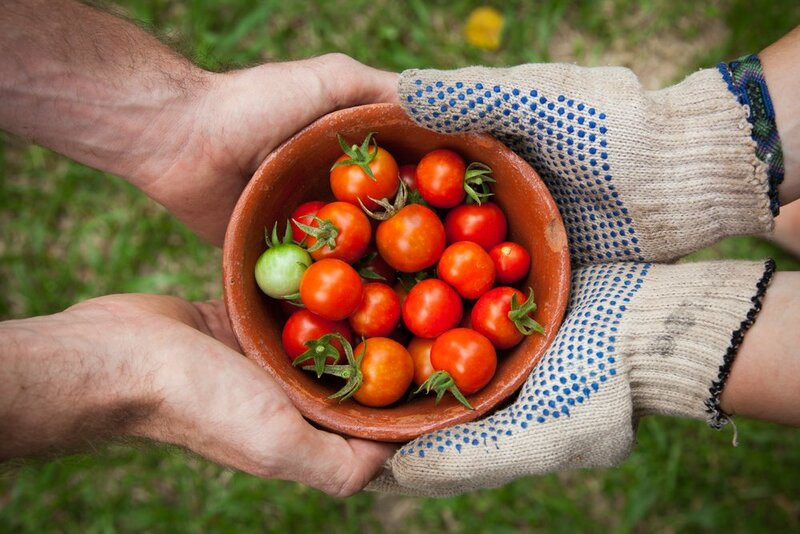 Make a list of your favorite vegetable, fruits, and herbs and decide what will grow well in your small garden. Consider how much one plant will yield and if the plants are easy to care for. If you grow too much, you can always trade your produce with other gardeners. Before buying planting pots, seeds or starts I always check in with my local community garden to see if they have extras to give away. I have also used milk jugs, large cans and buckets to grow in. I’ve also planted seedlings in egg cartons and paper coffee cups. Before you plant, check in with your local library or garden association to get tips on how to maintain your garden. I have found many ways to grow a bounty of fresh produce in my tiny spaces, and you can too!